LEGO City Police Swamp Police Starter Set $7.99 + FREE Shipping with Prime! 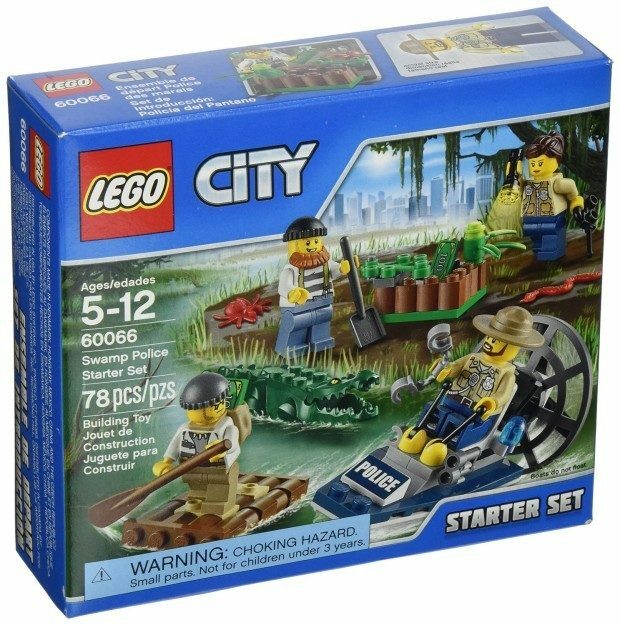 You are here: Home / Great Deals / Amazon Deals / LEGO City Police Swamp Police Starter Set $7.99 + FREE Shipping with Prime! Head over to Amazon and get the LEGO City Police Swamp Police Starter Set for just $7.99. This is the lowest price we have seen! Shipping will be FREE with Amazon Prime or an order of $35 or more. Power up the awesome swamp boat; Join the high-speed boat chase!